In their daily operation, both large corporations and small startups often face the same problems. Typical problems for all of them are manual task management, lost, duplicated or incomplete information and untraceable document versioning and activity context. All of them can be solved with the right software that automates manual processes and connects people, tasks and data in a unified working environment. 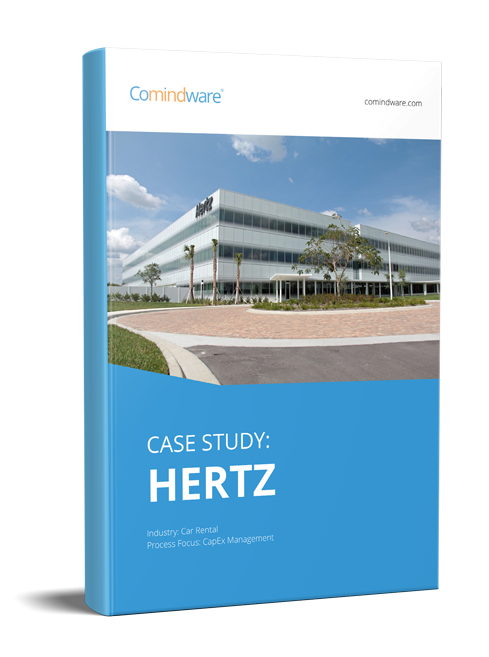 Comindware Workflow management solution is exactly designed to solve these problems. It enables automation, optimization and analysis of the defined tasks sequences that are automatically arranged as workflows. Let’s take a closer look at the possible benefits this software may bring to your business. First of all, Comindware Workflow management solution allows for workflow automation, visualization and modeling of your company’s workflows. 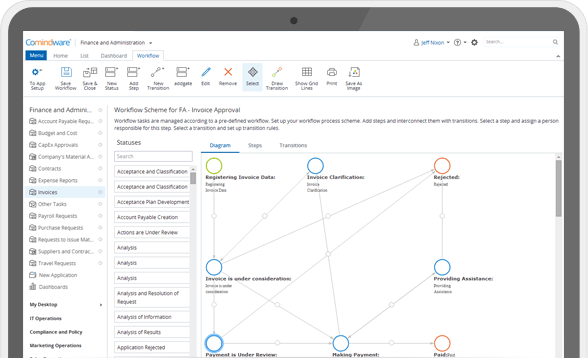 The intuitive and easy to use Workflow Builder enables design of business processes “on the fly” in a flexible web-based interface. The software allows to capture and manage business data through configurable Web Forms. The drag-and-drop interface makes it much easier to configure data and set up your workflows. These features among other substantially reduce time spent configuring the system and thus provide a quick-win solution for your business. Overall, Comindware Workflow Automation system allows continual standardization and optimization of your daily operations. 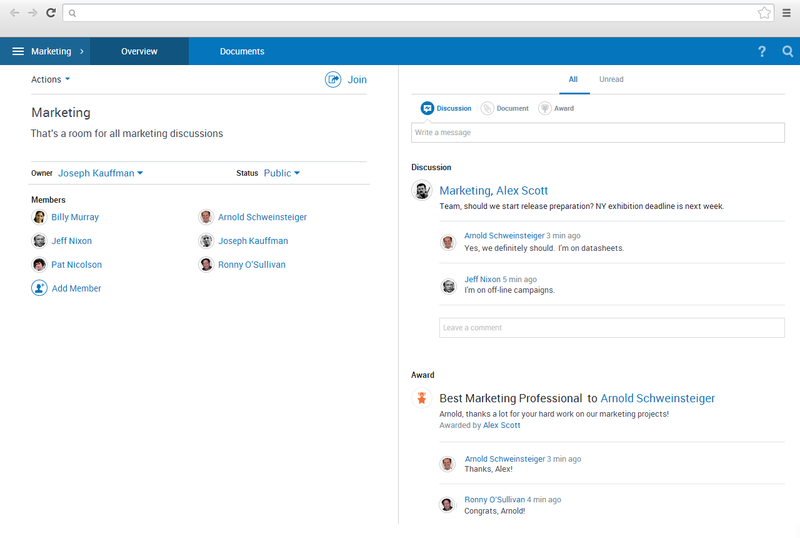 Comindware Workflow Management solution provides Social Collaboration capabilities enhancing both corporate and individual efficiency. The ability of the system for knowledge and document sharing allows users to minimize time of switching between various applications and making decisions in full context of work. Comindware Workflow Automation solution provides centralized management of all activities, people, tasks and documents. It allows defining work as a series of workflow steps with clear task hand-overs and enhanced capabilities for notifications, reporting and progress tracking. Workflow software by Comindware can be easily configured by business users with no need for assistance from the IT. All workflows can be changed on the fly without interruption of the ongoing processes. The solution is available in Cloud and on all mobile platforms. Comindware selected as one of Top 25 Workflow Solution Providers – 2017 Success Factors, Success Readiness Checklist How Project Management Workflow can Make Your Company More Efficient Company work management software: workflow or simple tasks? Tired of tracking multiple follow-ups in email? Track progress of delegated tasks automatically!